We love combat REST IN POWER! R.I.P. Combat Jackðð­ð¹ðð¿ you are truly missed. This is one of the few times Iâm devastated by someone who is in the business dying. Combat was the definition of an evolved human being. He took a Zen like approach to everything, even when he was diagnosed with colon cancer. I am not giving this show five stars because of Combats untimely death, it deserves five stars because the content has always been solid. Even with guests I didnât like, Combat always found a way to be engaging enough to break through the monotony that interviews sometimes bring. This is like the hip-hop version of Marc Maronâs âWTFâ podcast. Dude is going to be missed and so is this show, because I canât conceive of the rest of the crew continuing without him. Canât believe itâs taken me so long to write this review. If you donât listen to anything else LISTEN TO THIS PODCAST. Endless laughs and much wisdom can be gained from listening. 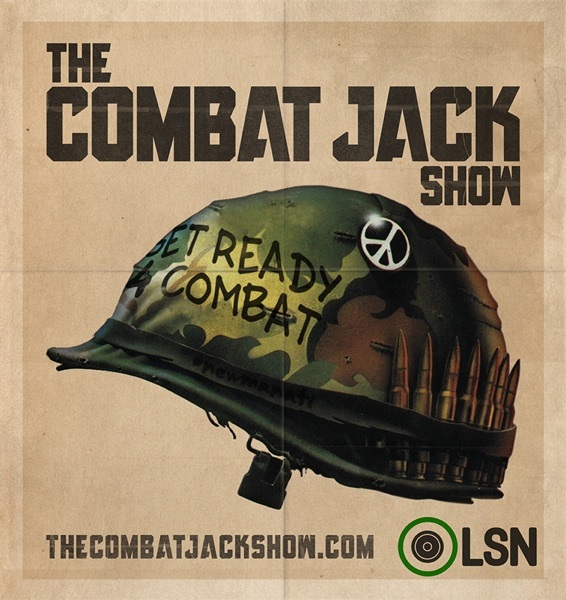 RIP Combat Jack There will never be another. Yo, I have listen to many of the OLD EPS to the new. I drive a truck and on them late night runs. The show keep me up and interested. I donât know how I feel about it continuing without him, but then I still want the content. RIP Reggie. Your eloquence and empathy will be sorely missed. Definitely stands ALONE!!! The BEST hands down!! Your presence will surely be missed!!! This show is legendary. Go back and listen to all of the episodes. Impact fully, Compelling, Flourishment, The Combat Jack Show. I finally figured this podcast out. Combat Jack is an amazing interviewer. He could easily be a social scientist (he is one) with is interview technique. He probes the interviewer to provide insight into their life, happenstance, risk-taking, and whether our not they saw the success (or sometimes lack of recognition) in the lore if the Hip Hop world. I grew up with KDAY in LA. I was too young to go clubbin' but heard The World Class Wreckin Cru, Run DMC, UTFO, etc... but I have gaps in my hip hop knowledge. At some point I got bored with hip hop... but there was always a sweet spot for GOOD hip hop (with a west coast bias). I found my niche in indie hop hop... still hip hop kept evolving.I am going back and catching up with this podcast. YOU HAVE HUMANIZED HIP HOP ARTISTS!! They have real-life stories, families, challenges, and successes. They philosophize, pay wisdom forward... you get to the meaning behind the glitter and really make us enjoy the artist as a person.Don't let this living document of a podcast stop... keep up the amazing good work of documenting hip hop culture. I really enjoy the content of this show, I've learned a lot about hip hop from this podcast and I think combat jack Is a fantastic interviewer. Although I do wish sometimes he was not so hype and talkative when interrrupting guest from finishing their response it can be annoying at times. I've been reading the blog, ear hustling & watching for years! So it's only right that I show some love officially. Love what ya'll do! Peace, Love & Unity! The G Herbo show was great! Every young and old head should hear it. The growth he showed just from the time he was on Taxstone podcast makes me feel hopeful for our youth. Good job Jack and stay blessed G Herbo. Love the show.just started listening a couple months back and been going back into your years of interviews.love the work you and your team are doing combat.always putting people on. ONE OF THE BEST PODCASTS PEROID! Although the episodes surround some of the best in hip hop music and culture, it is not just about the music; just the sheer wisdom about life and rich experiences that is shared on these episodes from some of the very best sets this podcast apart from all others. Terrific podcast that's guarenteed to make you think...about art, about race, about American culture in general. So glad I stumbled onto this after listening to Mogul. This podcast should be required listening for all social studies classes in this country. 5 stars, "dream those dreams"
Great interview with Twista!!! So much history I didn't know keep the podcast coming!! Combat has held it down for more than 6 summers, just showing the love. This is one of the best podcasts I listen to, thank you. Thank you combat for setting the bar high on my podcast experience. You were the first podcast I started listening to two years ago and always looking forward to new episodes. Nothing compares to how insightful and smooth your interviews go. You do not limit your selection to just one industry. I thoroughly enjoying learning about what someone is doing in the literary, film, music, and political arena. You have a clear purpose with each interview and I am very appreciative for this service. Perfect podcast for real fans of hip hop. Great interviews with some of rap's biggest artists. Keep up the work! Always informative! One of the only two podcasts I listen to. Yeesh...this guy says "Internets", every 3 seconds and it's super annoying. I was a previous subscriber but re-subscribed to listen to this CTG interview. Guess I'll give him another chance b/c he is very knowledgeable in he's subject matter. Dame Dash - Respect the god. Combat, 5 stars, because I like what your podcast is about. Don't change up, because you at least let the guest Speak, Something That Drink Champs doesn't do. Because of NORE, I don't know what happened to "Havoc's" upper account being hacked, because he cuts everyone off. On another Note, I heard the conversation with Dame on Drink Champs. Here's the reality; Code of Honor Dude! You cannot Do things for money, and interview people who are beefing with Damon Dash. If you want your podcast to stay relavent, you have to have a code that your listeners can relate to. Stop doing things for money, letting These culture vultures, defend themselves. That was a losing move, nomatter how you defend it. You have to stand on principles. Show is still dope, just remember to maintain principles my G.